The MDC Alliance yesterday said Mnangagwa's use of hired private jets showed that he did not care about the suffering of Zimbabweans, who are reeling from an economic crisis. "Mnangagwa has once again demonstrated his lack of care for the mounting economic woes in Zimbabwe," the party's deputy spokesperson Bekithemba Mpofu said in a statement. "He once again flew in a hired Swiss Dreamliner, which will cost the fiscus millions. When flying business class, it would have cost less than $30 000. "He flies out in the middle of a crisis, teachers are on strike and the government has failed to even communicate a plan to both the civil servants and concerned parents. "Broadly, the economy continues to fail, fuel queues have resurfaced, there are serious bread and cooking oil shortages while the prices continue to spike. "These shortages are attributed to the unavailability of foreign currency much needed for the imports yet Mnangagwa always has cash to fly in and out." 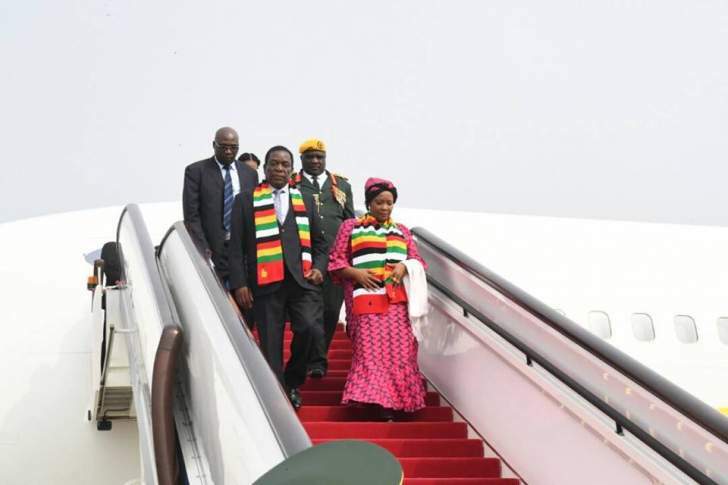 "[President] Emmerson Mnangagwa is gallivanting all over the world on the best available leased jets," he said. "The environment is risky for citizens. Zimbabwe is not open and free for its own people and not even for foreign business investment. "Zimbabweans in the diaspora cannot even consider investing in their country because of the political and economic instability and the brutality of the regime against the citizens." Transport minister Biggie Matiza yesterday said he did not know anything about Mnangagwa's travel arrangements. "I'm not aware of that. Actually, I was out of town and I am not aware of that," he said. Mangagwa's predecessor Robert Mugabe also had a penchant for expensive foreign trips, but always used Air Zimbabwe planes.